Vidalia onions are so named because they were originally grown in Vidalia, Georgia in the 1930s. Several varieties comprise the Vidalia group, including the hybrid Yellow Granex. The Vidalia onion was declared Georgia's state vegetable in 1990. Georgia law and the USDA determined that the onion can only be grown in specific areas of Georgia. There is good reason for this. 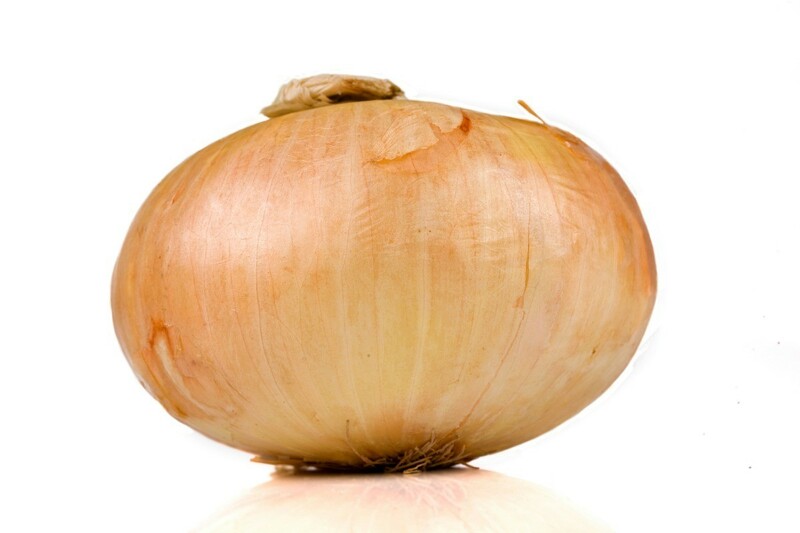 The Vidalia onion is unusually sweet and does not have the pungency associated with other onions. The sweetness and lack of 'bite' are due to the very low sulfur content of the soil in which it is grown. I will not buy the white onion normally found in grocery stores. It is so hot, the burning it causes makes eating it an unpleasant experience. The average yellow onion is much milder than the white. It still has quite a bit of bite. Enough that I find it needs a 'mellowing' period. If I plan to have hot dogs, I will chop the onions the day before and keep them refrigerated until I use them. The mellowed onions compliment rather than overpower the hot dog. The Bermuda onions I've bought are sweeter than most white and yellow, but still quite strong. I will use them, but only in small amounts. A couple of days ago, I bought onions. I planned to make stewed potatoes and always like onions in them. 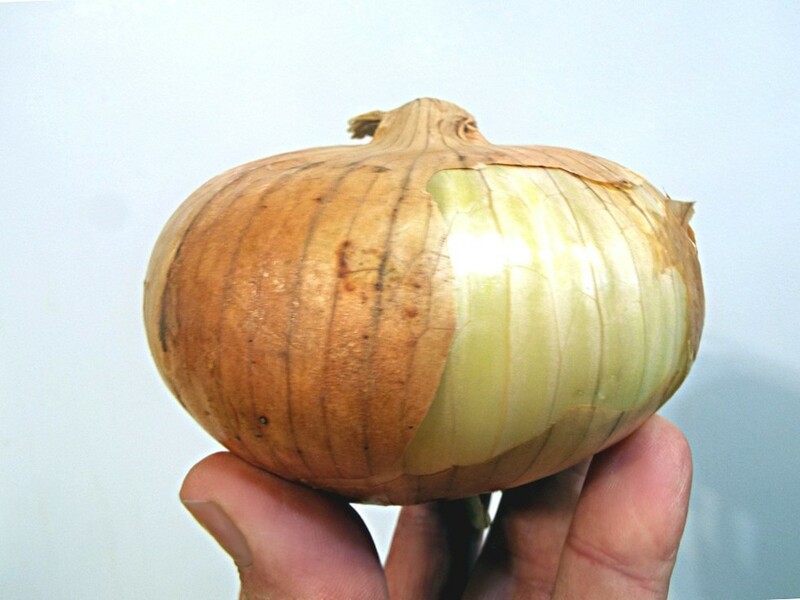 On a lark, I picked out a large Vidalia onion. It was my first time to buy Vidalias and it was a good decision. When chopping the onion, I noticed there was not the usual strong 'vapors' rising from it. I chewed a small piece and found it very sweet and very mild. Believe it or not, I ended up eating half of that large onion as though it was an apple; something I've never done in my life. Well, I'm hooked. From now on, I will buy Vidalias. I won't even have to chop them a day ahead for hot dogs. And, just in case the store might not have them, when it does, I will buy ahead and chop and freeze them. I'm sure a lot of you know about the Vidalia. This tip is mainly for those who do not. I wanted to share with them my find of an onion so mild and sweet, it can be eaten as you would an apple. Great article, Doug. I rarely use Vidalias because we have Walla Wallas around here, from Walla Walla, Washington. They sound very similar except Walla Wallas are big. If you get a chance, you should see if you can get one and compare. I see Mayan Gold (or something like that) at Costco too. Thanks for the tip. The Vadalia is plentiful in my area as I am just a couple states from where they are grown. I have not seen Walla Wallas in this area. If I do, I will be sure to buy one for comparison. I don't know if Vadalias are sold nationwide. If the reader can't find one, hopefully they can find the other. Ha Ha! Just wondering if breath mints are cheaper by the case. You seem to be experiencing what my husband went through many years ago. We waited for them to start coming into the stores you, we ate them like apples, loved them in all sandwiches. Then something changed, they became easier to get, available all year round. The were no longer our sweet onion. Still wondering how they can be called Vidalia when they are no better than the others. What happened?